The following gives a flavour of some of the things I’ve been working on in the school library this term. One of the main jobs at the start of a new academic year is to timetable and start giving Year 7 library lessons (each class has one lesson a fortnight). Library lessons alternate between sessions where pupils can read and choose books and sessions where they are taught how to use the library. This term the latter involved how to find books in the fiction section, how to use the catalogue and self-issue system and writing book reviews for the blog on the VLE. In general, the Year 7 classes that I teach are keen readers. I also noticed that a lot of them spent time in the Library during break and lunch times, which is perhaps as much because it provided a quiet space where they could take time out from the excitements of starting a new school. I was struck by how keen they are to read books that others have recommended. In fact, a few books/authors/genres are so popular it is hard to meet the demand for them. We also had interesting sessions learning how to use the catalogue, with pupils having to think out of the box in situations where their apparently well-formed search terms did not retrieve any results, despite there definitely being copies of the book in the library. As well as Year 7 library lessons, we also ran ‘library refresher’ sessions for other years during the first half of term. These had to cover pretty much everything that is taught in Year 7 in one 40-minute session. If only there had been more time as there were the beginnings of some interesting discussions, for example on use of library resources for EPQ essays and the relative merits of Google and library resources. This term one of the geography teachers asked for help with creating a list of books (fiction or non-fiction) available from the library about different areas of the world. I used an existing list and edited it to show only the books available from our library. Pupils were then challenged to read about as many different countries, continents and different environments as they could. As well as keeping a list in their geography books, they could also write the books they’d read on this display. Interactive display for Read Around the World challenge. Includes lists of books by country, continent and environment. The labels are for pupils to write the books they’ve read and/or places they’ve read about. Another big project this term was to organise a visit by the author, Candy Gourlay. Candy is the author of ‘Tall Story‘ and ‘Shine‘. She gave a talk to Year 8 entitled ‘The Hero’s Journey’, which focused on the eponymous plot device and her own journey to becoming an author. She was a fantastic speaker and shared lots of funny stories, tips and insights into creative writing and becoming a published author. This idea stuck with me: (I paraphrase) ‘Don’t write about what you know, write about who you are, which is harder.’ There was a book signing after the talk and Candy stayed to have lunch with a few of the pupils, which was great. 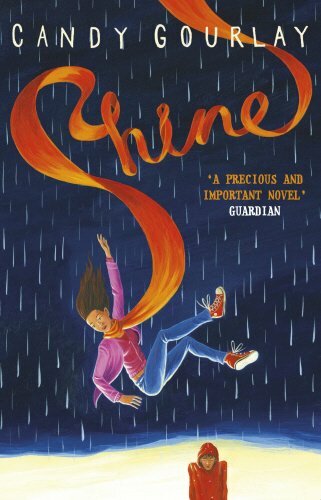 I hadn’t realised how much work goes into organising an author visit (this article provides some handy hints) but it was definitely worth it for inspiring girls about reading and following their dreams. Candy also has a great website and is on Twitter (@candygourlay). A new version of the OPAC was installed this term and its new features include an app for mobile devices and an interface that is easier to customise. After pupils have had some time to get used to it, it will be interesting to hear their feedback. I have also had the chance to supervise a student doing an Extended Project Qualification (EPQ). EPQs allow pupils to write a 5,000-word essay or do a project such as a piece of creative writing or a performance. They are worth half an A-level and are marked on planning and research skills as much as the final product. School libraries are perfectly placed to help with this kind of work and it has therefore been very interesting to be involved as a supervisor.